The passion and purpose behind The Greenhouse is to give singer/songwriters the opportunity to cultivate the creative process and bring their songs to life in a relaxed and affordable setting. For artists interested in making a CD, we serve as a valuable first step providing the necessary pre-production and recording experience before investing in a professional recording studio. A lead sheet allows you, the artist, to enjoy and evaluate the notated expression of your song as well as the ability to share it with other musicians and professionals. In addition, with a CD recording and lead sheet you also have some of the materials necessary to copyright your original song with the Library of Congress. 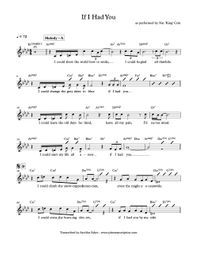 A lead sheet includes: the melody line, lyrics, chords, and arrangement of your song. For an additional $50 we will provide you with a lyric video of your song. This will allow you to create or enhance your own, personalized Vimeo or YouTube Channel. With this feature you can readily share your music on Facebook and other forms of social media.